April 4-7, 2019 — Ronda’s year-long journey has been leading to this. “The Grandest Stage of Them All.” In the shadow of NYC. In the first-ever women’s main event at WrestleMania. And what a year it has been, to get to such a busy week: WrestleMania Week. From The Today Show to Make-A-Wish to UpUpDownDown to the WWE Hall of Fame—and everything in between—all roads are part of the Road to WrestleMania. And that road leads directly to the MetLife Stadium, for the “Winner Takes All” triple threat main event match between Ronda, Charlotte Flair, and Becky Lynch. 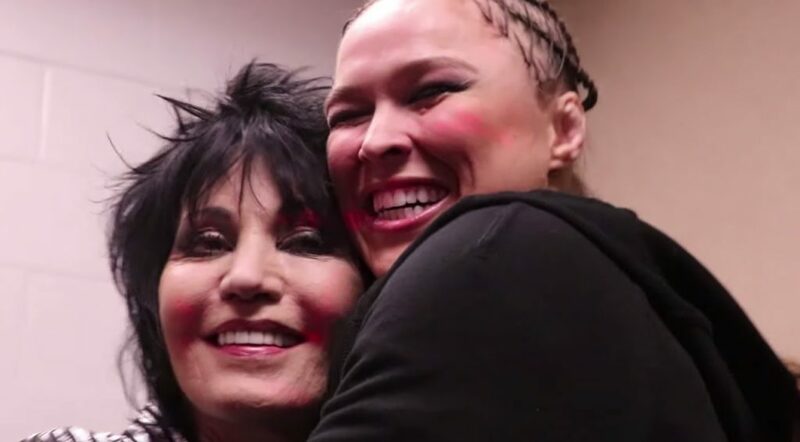 Also: shout outs to Kelly Clarkson, The Riott Squad, Mache, Colt Toombs, Joan Jett, “Baker Street,” and last but not least, Ronda’s mom. Coming soon: Stay tuned for Ronda: Year One – a behind-the-scenes look at Ronda’s journey through the WWE, from day one, all the way to WrestleMania 35.